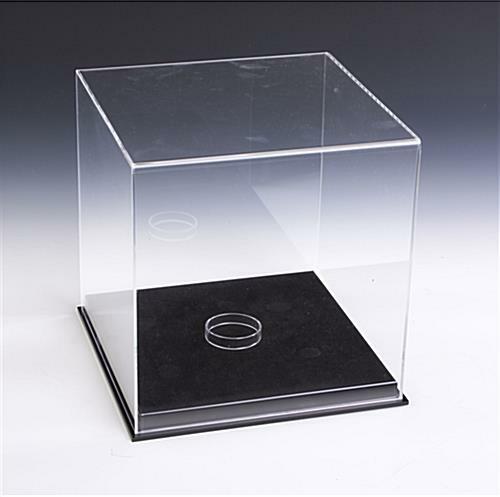 These 11" acrylic display cases are made of clear plastic with a black base. 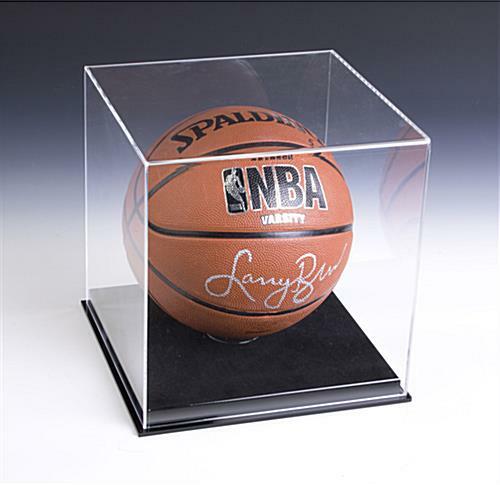 Each of the memorabilia holders is large enough to hold a basketball, which can be placed on the included removable riser. 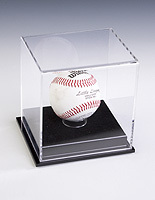 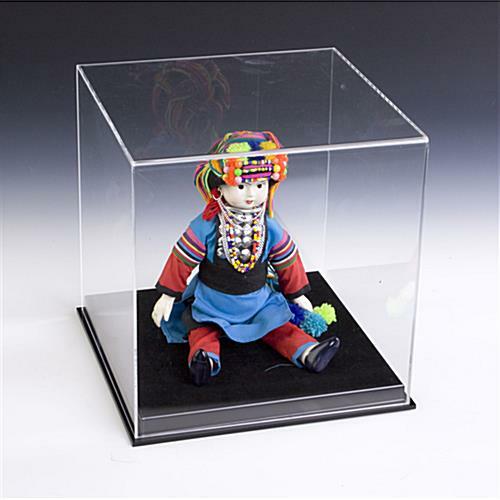 The acrylic display cases can also display a variety of other collectibles such as dolls, model cars, footballs and other mementos. 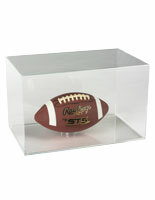 The stands protect mementos from the elements with their 0.125" thick clear plastic cover. 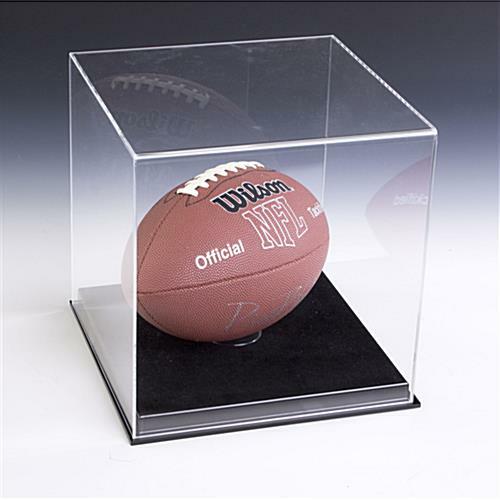 Additionally, the basketball display cases' transparent design blends with any environment, making them ideal for homes, schools and offices. 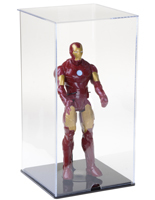 The memorabilia holders also have (4) rubber feet to stop them from sliding off of shelves.